Record Label: Toj Kil Shi prod. Started in the year 2001 in Beirut (Lebanon), a city that witnessed over the past 2 decades: war, destruction, corruption, terrorist attacks, bombing, assassinations, social injustice & other kind of inspiring materials that were the main topics in ASHEKMAN songs. The crew is composed of identical twin brothers: MIJRIM KALEIM (born. Mohamed Kabbani) MC/Producer and CARBONN (born. Omar Kabbani) MC/Producer, both university graduates (Graphic Design major) from the Lebanese American University (L.A.U) and Graffiti Artists. 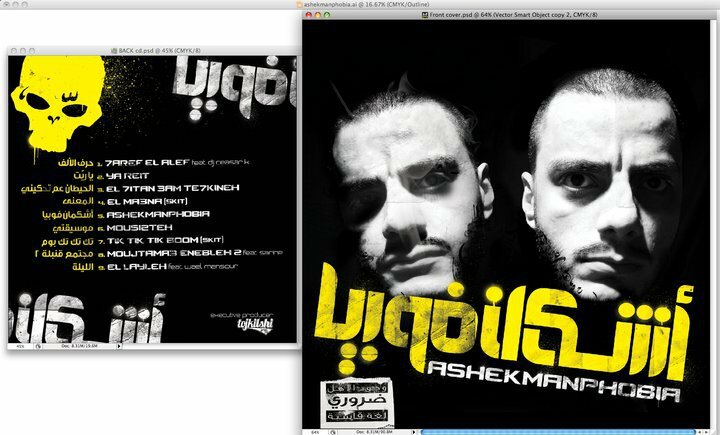 The style adopted by ASHEKMAN is Lebanese rap, with Arabic lyrics/Lebanese dialect, with an aggressive/cynical tonality and underground topics that created problems with the censorship/organizers and led ASHEKMAN to be shutdown/censored in 5 concerts, but on the other hand created a street buzz and a notorious reputation for this duo crew, as the true voice of the society. The name ASHEKMAN means in slang Lebanese the exhaust pipe of a vehicle, signifying the toxic lyrics used in the songs of the crew. ASHEKMAN official videoclip from their 2nd album, produced by Toj Kil Shi prod.09, directed by The Kabbani Twins.